If you or someone you know came home from the mission before the time that the mission call originally prescribed, even if it was an “honorable release,” it isn’t easy. In fact, most missionaries who come home early drop into a winter of depression that is hard to melt. Click here for some powerful weapons to battle depression. I want to provide a few reminders for you (even if you didn’t and you want to know how to help those who have). Whether you are the one who came home early or it is your son or daughter or niece or nephew or grandchild, these are important things to remember. You applied to go. You prepared. You submitted your papers. You got your call. You changed your heart. You went out there and did your best. And you’re still a returned missionary. The Lord will bless you. You will become an effective advocate and messenger of truth. The Lord will reward you for the goodness of your life. Greater blessings and more happiness than you have yet experienced await you as you humbly and prayerfully server the Lord. These are not just promises for full-time missionaries who serve 18 or 24 months. They are for every missionary ever. I hope you know that. Okay well, I will tell you that I have been serving a mission for years since I read Elder Clayton Christensen’s book, The Power of Everyday Missionaries. 3 I followed his advice and I “called myself” on a mission. I became what Elder Christensen calls an “entrepreneur in Zion.” Someone who calls themselves on a mission – someone who doesn’t need to receive an official calling to do missionary work. My life has completely changed since I made that decision. It has been amazing to see the ways the Lord has been able to use what I am willing to give. The area that I am able and willing to help in most is on the internet. Online missionary work is very needed. Click Here for a list of great suggestions how you can do it right now. He came home early, but he came to himself and went forth with a determination to make a huge difference. Since then, he has created inspirational Youtube videos, written some of the most viral blog posts ever written by any Mormon in history (getting over 30 million readers) and is now sharing his message with the whole world in his new books: Marriage Isn’t For You and Your Life Isn’t For You. He came home early, but this didn’t stop Seth from blessing the lives of millions. You may not write a viral blog post, but you can still bless many many peoples’ lives. Call yourself on a mission. Keep serving. You still can. And never stop. So, I’m divorced. And I was married in the temple to my first wife. I won’t tell you that story in this post, but now I am happily married. But not in the temple, YET. We have had to wait a year before submitting our request for clearance to be sealed. I know we will be sealed eventually. But when we say we were married and people ask: “What temple?” sometimes it can be interesting to explain to people. We are both temple worthy and we attend the temple almost weekly. But sometimes people don’t understand that. Or because of the culture of the Church, they have seen our marriage as sub-par. This is because of cultural beliefs, not doctrine. When we were married we agreed that we wouldn’t let this jeopardize our marital joy and it hasn’t. It has only increased our value of temple marriage and how important and sacred it is. We have had the most amazing year of marriage and I would be bold enough to say we are some of the happiest people on earth! We don’t let the cultural misunderstandings of very good, well-meaning people get in the way of our love of ourselves and of those people. We know the doctrine, and we will eventually be sealed in the temple. When I read this, I was disturbed because this is clearly not LDS doctrine. There was a member of the Church who responded to this article saying that this is a very clear misrepresentation of our doctrine. The author of the Newsweek article then responded: “My intent was not to review (doctrinal) books but rather to report how representative members of the LDS Church describe and interpret their own traditions…The point is to determine what doctrines of a church are genuinely infused into the lifeblood of its adherents.” 5 The point I am trying to make by quoting this from Elder Hafen’s book is that many misunderstand cultural beliefs and behaviors as doctrine or truth. I wrote an article about cultural understanding about the doctrine of repentance because of this very reason. Why is it so common that we ask in prayer to bless clearly unhealthy food to nourish and strengthen our bodies? Culture. Not truth. Remember the truth. Remember the doctrine. Forget the cultural misunderstandings and focus on the good in those who misunderstand you or the doctrine. Remember that people are good and everyone (just like you) is just doing the best they can. When you see people this way, you love them no matter what they say or how they may perceive (or misjudge) you. Nephi said that he went unto the mountain to pray oft. 7 You should do the same. Go to your secret place. If you can’t find one, read here about 9 closets to pray in when you don’t have a closet. Go to your closet and your secret place. Pour out your soul. Make your relationship with God the closest one and the most important one. Draw near unto Him and He will draw near unto you. Do it often. Daily. More if you can. Go to the temple. Do it monthly and you will see a difference. Do it weekly and it will change your life forever. There is strength that you will gain there that you cannot gain anywhere else. Help from heaven will come. Those in the spirit world who you are working for will come to your aid. Angels will attend you and all your other spiritual activity will be enhanced. There is real power that is activated by going to the temple. Do it. Do everything you have to in order to get there. Repent if you need to. Use the power of the atonement. Go to the Mountain. God is there waiting. You don’t have to serve a mission to become a missionary. And you don’t have to lose the missionary glow after you come home from the mission (whether you came home after 1 month or 24 months). The point of serving a mission is to become converted, not to check off an item in a list of things to do to to be acceptable in LDS culture. Just because you don’t serve a mission, doesn’t mean you can’t change the world. Think of Seth Adam Smith. You can still make a HUGE difference in a world that desperately needs more light. Albert Einstein himself said: “Everybody is a genius. 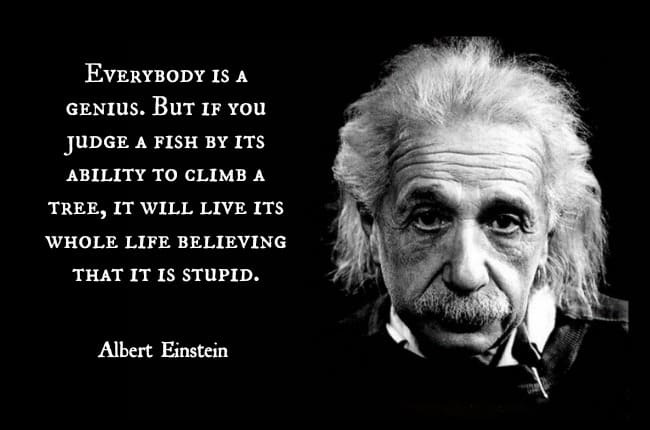 But if you judge a fish by its ability to climb a tree, it will live its whole life believing that it is stupid.” 9 You are a Genius. You just may not be a pro at climbing trees, that is OK. Be a pro swimmer. You are here for a reason. Don’t let coming home early (or even not serving a mission at all) take you away from that. You have a song to sing while here on earth. Sing your song. 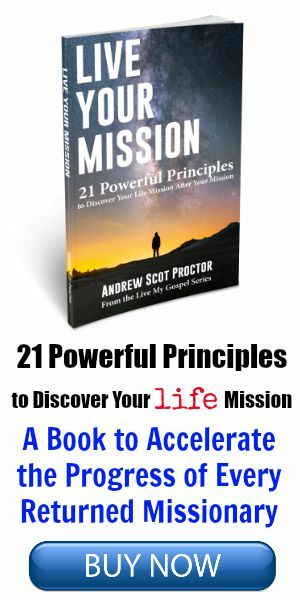 Find your personal mission and do all in your power to accomplish it. Both my husband and had to return early from serving full-time missions due to health reasons. For many years I felt as if I had not fulfilled my responsibility to the Church or the Lord. Shortly before getting married I spoke with my Bishop and received comforting counsel. Just a few short months later I was reunited with my mission president and his wife. It was then that I was able to feel acceptance and feel complete to see their continuous love for me. They didn’t see me as a failed missionary but as a beloved Sister missionary as if I had never left early. This post is very beneficial to all youth to read whether before..during or after serving a mission. I felt the same way after my mission, even though I served the full time I was called to serve. I always felt that I had left something undone. That feeling went away during my second mission which I served decades later with my eternal companion. I am actually grateful for that feeling, because it spurred me to serve again, and our mission together was amazing! Very good article with MANY interesting pieces of information! Spot on, dude. I wish this article was up when I had to go home early due to me having to get surgery. I eventually did go back out 3 1/2 months later. But going home was the hardest and I was the most depressed person. But man, even for those who don’t go back out, it’s okay. The Lord has a plan. We’re all missionaries. Thanks for sharing your story. You are so right! We are ALL missionaries! Thank you so much, this really put into words what I struggled to find for myself, and I still had a hard time, I was sent home early due to health reasons, and I felt like my life was over, a mission was all I ever wanted to do, and I felt like it was taken away from me, especially when I had finally gotten better, and prayed to go back out and found that I wasn’t supposed to return to the field after that I fell away from the church, and into depression, I lost a year of my life because I thought I had failed, it took a lot of suffering and self searching to find my testimony again, and i’m still working my way back to the temple and wish that someone had told me something like this before I had fallen away, this really has helped me let of the rest of it, thank you so much. Braidon, you are the man for sharing your story! I love hearing the faith and the righteous desires of all you amazing people. It makes me just love you. I want to give you a hug right now. You got this man. I will pray for you. It’s worth it. 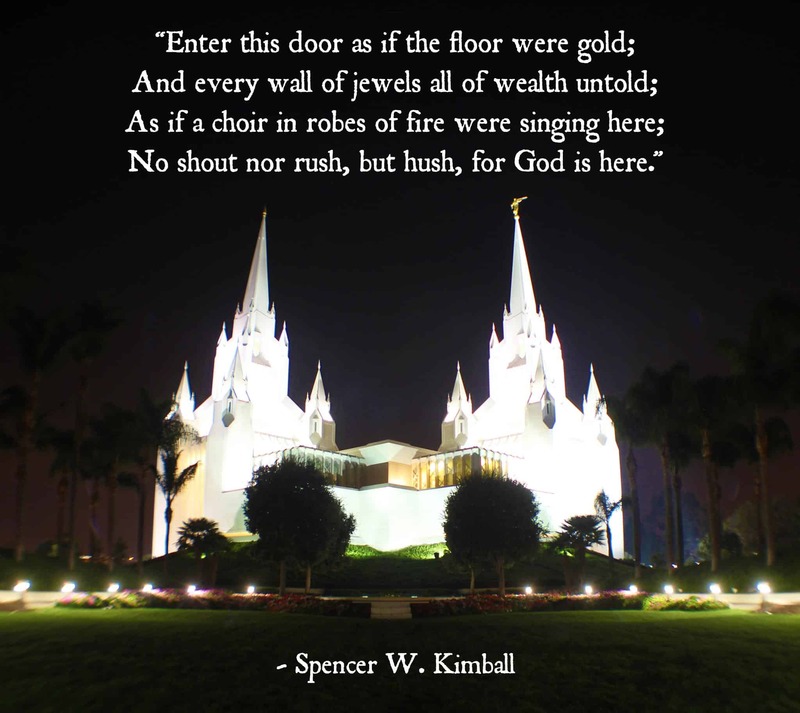 I have had times when I had to stay in the temple grounds and not go in, but don’t forget to go to the temple grounds. There is power even there. You haven’t lost any potential. Always remember that. God speed brother. I left the mission field after about 4 weeks due to discouragement, homesickness and possibly depression. Thankfully through priesthood guidance I was able to return with a more humble attitude and completed my mission honourably. Even though I did complete my mission I know how difficult it can be and how the adversary works very hard to discourage those who serve. But most of all I realise that it’s not where you’ve been that is the most the important, but where you are heading now. That said, I have to say that I went inactive for over 20 years after returning from the mission field, and I had served as an Assistant. It’s not where you have served in the past that is the most important thing, but where and how you are serving now. Thank you for sharing your story Phillip. That is so true! Thank you so much for this and every point made. I recently returned home early due to health reasons and I find it hard to explain to people why I am home, and after prayer and attending the temple I am choosing to stay home. Many of the points made were in accordance with a psychologist from LDSSS (LDS Social Services) and this post, like that one meeting, tremendously helped to realign everything back. Thank you for what you do and the member-missionary example you provide. Bryce, thanks for sharing your story. It empowers others as well. God bless you as you continue to serve the rest of your life! Just a note on the wonderful poem: It was by Orson F. Whitney and was quoted in Spencer W. Kimball’s “The Things of Eternity—Stand We in Jeopardy?” Ensign, Jan. 1977, 7. I wish I could find something offering encouragement and direction to those missionaries who returned home early who ***did not*** have an honorable release. It is one thing to come home early because of things that are out of your control. It is another to do so because of mistakes and/or sin. Corianton in the Book of Mormon was sent right back out into the mission field, but the church does not do that today. We really need a follow-up article for these people as well. Robert. Thank you for your encouragement. I completely agree with you. This is why I wrote the article about repentance that I reference a few times in the post. Read that article and the conversation that goes on in the comments. The most important thing for everyone to understand (in my opinion) is that if we have desires to serve, we can serve. And we should serve. Whether we were honorably released or sent home for transgression, we can still do great things. IF we activate the power of the atonement in our lives. (Please read this article too – see the last post before this one – here is the URL http://www.thereturnedmissionary.com/6-ways-to-activate-the-atonement/ – my comments deactivate URLs though so you can’t just click it). How is it that Alma was the vilest of sinners and then later in life was translated? The atonement. Corianton as well. I’m with you brother. This was good for me. I had to leave the mission field because I did some things that I was really ashamed about for a long time, but now I try to do what is right and teach whenever I can. I came home early. I still love the church. I don’t share my experience often, but occasionally someone needs to hear it. It’s nice to know there’s others out there who’ve been through it and come out the other side, happier than ever. Jennie, that is so hard. Especially in the thick of it. Just remember, like Elder Wirthlin said: “Sunday will come.” I can tell you this personally because I thought my life was over when I was going through it. But my life is better than ever. I have everything I ever dreamed of and more. You’ll figure it out in time. I have found that time mixed with truth are good medicine. Just stay close to the Lord, especially when it is hard. You’re in my prayers. Thank you so much. It’s so hard to keep any sense of perspective, especially right now when I’m waiting to be moved back to where my family are. It’s awful having t share a home with him in the meantime, so I’ll be looking into going into a refuge. I feel like such a failure and such a terrible person. I feel as though this is all my fault and if I had just been a better wife, then maybe it would not have worked out this way. My family aren’t religious and they are all 500 miles away, so thank you for saying I’m in your prayers. I’ve not had anyone say that to me and it means a tremendous amount to hear that. Perhaps this is all my fault. My brother didn’t come home from his mission. 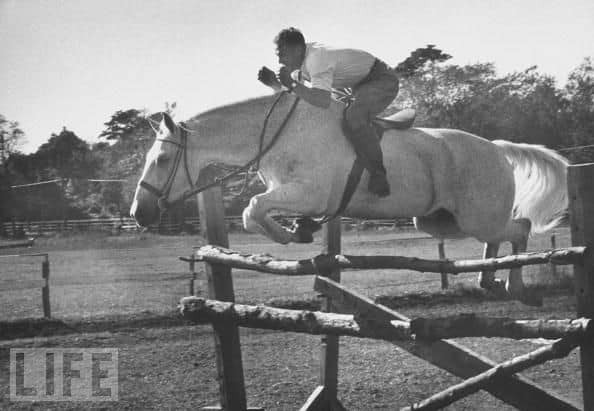 A few months prior to his passing, he had a medical issue and was almost sent home. As a family, we fasted and prayed that he’d be able to stay in the mission field. That is one of my greatest regrets in life. If he had been sent home, he’d still probably be with us today. The months after his passing I was inundated with phrases of how “blessed” my family was. Even though this was years ago, I still don’t feel that way. I can’t tell you how many times I have fasted and prayed that missionaries get sent home early rather than not at all. When I served my own mission, I was always so grateful that the lord would send missionaries home to their families. Erin, it’s not all your fault. The great thing is that God has a plan for every single missionary just like He has a plan for each person that those missionaries teach. Remember that. His plan is all encompassing. That is heart-wrenching to hear about your brother. I’m so sorry to hear that. My uncle took his life just a few months ago because of a mental disorder. Though my wife and I probably could have tried to step in more to help from keeping this from happening, sometimes it just happens and we can’t help it. You are not responsible for what happened to your brother. And the atonement will recover and redeem, recover and restore all things that are unfair in life. I love the video called “worn” by Tenth Avenue North (you should really look it up on Youtube). Redemption will win. With your brother. With my uncle and with all else who desire it. God bless you. Love your post! I was asked to start a regional pilot program for the church, one month before submitting my mission papers. My stake president said he wouldn’t have asked this of me if I had been a man, but asked me to think of it as serving another type of mission. I got to serve with the most incredible people I’ve ever met in my life! I was so blessed… but, each time members of our congregation who have served full-time missions are asked to stand, I feel shame that I don’t get to stand with them. Anyhow, I love your comments and I too feel the great blessings of being an active full-time member missionary. It’s exciting to teach others doctrine that we enjoy and to watch them learn and feel our Saviors love. Thank you Jennifer for sharing your story! I will be writing another post that will specifically talk to those who did not serve a full-time mission. My brother didn’t serve, and he is amazing and faithful and a great contributor to the kingdom of God. God bless you for your love of the Lord, and your patience with others who may not fully understand. Be loyal to the truth and you will always be able to stand tall. My husband was in the Army when we met. 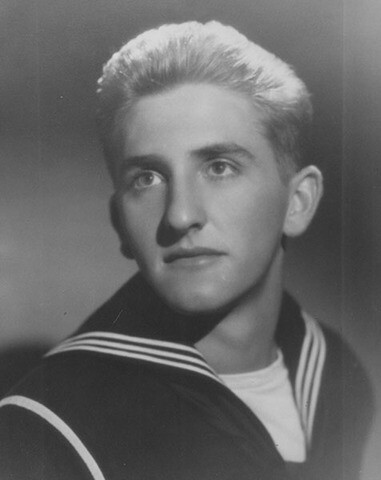 he had not attended college, nor served a mission yet, as he had gone into the Army straight from high school. He had planned to serve his 4 years, go serve a mission, then use the Army benefits to attend college. We met, dated, started talking marriage, but it was always with the understanding that “marriage” would be after the mission. One day, the Spirit surprised him, knocking him over the head with a 2 by 4 telling him to propose ‘now’. He prayed and prayed about it. As he puts it, “It was the loudest, strongest whisper I have ever heard.” He proposed. I was shocked. I said I’d have to pray about it. The Spirit reconfirmed to me that yes, we were to marry and not wait for a mission or college. We got engaged. We both were incredulous. This went against everything the “culture” of the Church, and what we thought was the policy of the Church, regarding serving a mission. My greatest concern, other than making sure I followed the Spirit’s whisperings, was that I did not want my husband regretting never having served a mission 25 years into our marriage. We finally decided to talk with our Bishop. 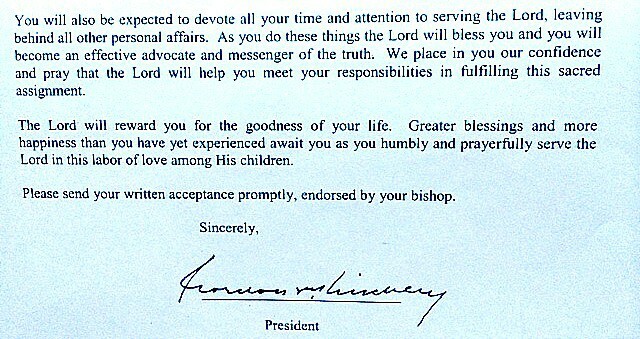 Our Bishop had been a Stake President and a Regional Representative (back when they used to have those), and his counsel soothed our minds and hearts. He explained that at one point he had been in a meeting of Regional Reps, and this very idea had come up of being in the military vs serving a mission. He told us they had been instructed that: if a person is in the military and is being a good “missionary” and “light” to those around them, helping to spread the Gospel to those who are also in the military, it is counted as serving a mission – due to the fact that no missionaries from any denomination are allowed to set foot on base, much less teach the Gospel. Our Bishop knew that my fiancé was actively doing missionary work with his military buddies, and practically every time there as an event, fireside, or activity, he brought someone en-tow. Two of his friends converted, due to his “mission” within the military walls. After talking with the Bishop, my fiancé shared with me his patriarchal blessing where it states that the Lord is aware of his desires to serve as well as his consideration of going into the Army (he got his patriarchal blessing a few months before going into the Army). His blessing says that Father in Heaven would have him know that the “gospel can be taught regardless where we serve in life; but that we are required to serve. You can perform your labors in the armed services and bring many souls unto Him through this means. The decision is yours;” and then it goes on to say to remember that regardless of which method he chose, the Lord would be with him and bless him and inspire him to live humbly and honorably. Between our prayers and whispers from the Spirit, the Bishop’s counsel, and my husband’s patriarchal blessing, we received our answer and knew it was right to marry. That was 25 years ago. We have three children, one grandchild, an we have seen many times over, in hindsight now, the wisdom in the timing. The Lord knows what He is doing, and if we trust in Him, rather in the “culture” or “supposed to”‘s, we will be directed aright. One last comment – It is important to recognize that the counsel we receive from our prophet and leaders, in most cases, is general counsel – as in, they teach us correct principles, and then we are to govern ourselves. This is an individual Gospel more so than a collective Gospel. The best example I have of what I speak is this: The “general” counsel is ‘Thou shall not kill’, but the “individual” counsel to Nephi was to kill Laban. Therefore, being in tune with the Spirit and following the promptings of the Spirit become our #1 duty to God. And yes, 99% of the time that will be the very same thing as the “general” counsel. However, never take it for granted, and never follow blindly. Always go to the Lord for your personal and individual direction. Brigham Young taught us to never blindly follow, but that is our responsibility to gain our testimony of our leaders and the counsel they give us, and how to apply it in our lives. I know many missionaries that have been sent home early, for one reason or another, the past 10 month from the mission my son is serving in currently. My heart goes out to them, as I hear how difficult it is for the missionary (and the mom!) But it wouldn’t happen if the Lord didn’t allow it, and if there wasn’t a greater good to come from it! Thank you for your great article. I’m sorry my post is so long, I felt I should share this. Thanks for sharing your story and your testimony! Another challenge that we have seen in the last couple of years is for those who want to serve, apply to serve, and their response is….wait. Serving in YM for the last 10 years, I have seen several of our young men who have received those calls lately. It is up to us to determine how that will happen if the Lord determines that it is not to be full time. A good example is a couple who determined to go on a mission about 8 years ago. Suddenly she got sick and nearly died, just a few weeks before going to the MTC. As she recovered, he suddenly got sick and nearly died. As they both recovered, they were offered an opportunity to go on a mission,… at home. They have been on several missions ever since, all while living next door. Thank you so much for a very well written post. There were quite a few young men in my wards who came home early. I don’t know the reasons, but I treat them all well and never ask why. I agreed with you that God has plan for each of us. If we can’t serve in one way, there will be another way for us to serve. I hope all youth get to read this. I was supposed to serve in the Philippines in 2004 and was shortly sent home after 4 weeks in the MTC. I had a serious case of separation anxiety. I wasn’t sleeping, eating, and I was in a continual depression almost the whole time. It was one of the most spiritual 4 weeks of my life and to this day I still wish I was able to go to the Philippines, but I was promised that no blessings would be held back in a blessing I was given and I can tell that my life has been so blessed since then. I have been married and sealed to my wife for the past 9 years and we have 3 gorgeous children and my career has taken off. I have had many callings from Sunday School President, to YM’s President to being 1st Councilor on the Bishopric. For those who are sent home early honorably, I tell you that God will bless you so much, nothing will be held back, and in time you will be able to serve as a couple with your husband or wife. Wow! What a testimony. Thank you Marcus. Thanks for your article. 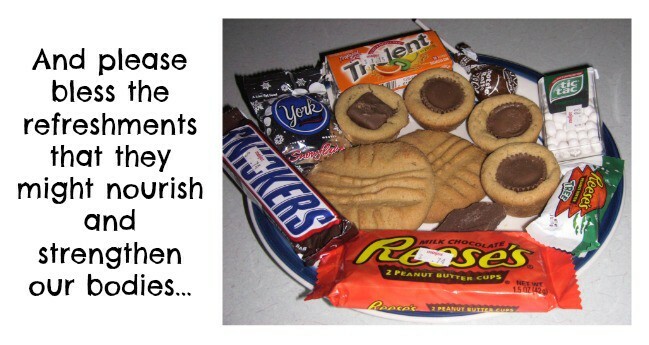 I will share it with a friend whose son came home early from his mission & is really struggling. I have an amazing son who applied to serve a mission some years ago, but due to an emotional struggle at the time was told to wait and reapply later. It was devastating to him. Instead of serving a full time mission a while later he married his sweetheart and they are now expecting their first baby. It was really hard for all of us because this son is wonderful man. As a youth people would tell us how great he was and how amazing his testimony is. Raising him was a pleasure. We have all come to see that the Lord had a different plan for him. While we still feel young men should serve a mission (we have a son on a mission now) we also now understand that there are times when that just is not possible. Most people were loving and kind about it, but we had one comment that was very hurtful, but I chalked it up to a lack of understanding and have moved on. We are pretty proud of the man our son has become and he looks forward to someday having the perfect missionary companion when he and his wife can serve a mission together. Linda, Thanks for sharing this! While I agree with the entirety of the article I think the most impressive bit is your ability to shake off the marriage comments you get. I feel like there are a lot of members blogging who see people acting within the church culture and treat it as a personal attack on what they are doing. I can’t say that all people mean well, but I’m with you. Everyone will be much happier if we just assume good intentions rather than reacting angrily because someone didn’t understand the entirety of our backgrounds. Thanks Andrew. It’s true. At first it wasn’t easy. I honestly had a hard time staying in church after Sacrament was over because I felt like I didn’t fit as a recently divorced person. It helped me to focus on the good in them and even tell them what I thought was so good about them. I always turn the conversation back to them and what they were doing that was good. I would give them a genuine compliment. Then, no matter what, they think you are a good person because you think they are a good person. It was a win win. And I never left a conversation like this without feeling fulfilled and happy about myself and the world around me. Hang in there. I’m also going through the divorce process and it can be brutal, especially when you are initiating it. (With good reasons that you’d rather allow people to assume the worst about you instead of airing the truth when it’s not their business.) I just figure the church is just as much mine as theirs. I’m not going away, so they will have to adjust. I’m doing my best under really difficult circumstances and sometimes I just have to make it up as I go. I won’t leave the church because of a few people who really don’t understand and neither should any of you. My husband had to come home after only eight months because of depression. People said terrible things to his parents when they found out he was home. Thankfully, his family was supportive and he had two best friends who weren’t able to serve traditional missions themselves. I didn’t meet him until a year after he came home, and when we became engaged, a “friend” asked me if we had prayed about whether he should go back or not! He received his answer long before he met me, so I hated people thinking that I was the reason he wasn’t going back. We’ve been married nearly five years and have a beautiful daughter. Thanks for sharing your story Laura! Nice article. Very thought provoking. It seems to me that it’s good advice for those that weren’t able to go on a mission, those that go and return early or those that go and don’t return early. This is by no means why I left religion behind, but ostracism for having to come home early for health reasons and having a target painted on my back after I got home, bishop and st prez not listening to me and telling me what’s best for me… Coming home early was rough. Having to leave the people I loved with all my heart was rough. Getting treated as if I were worthless by all my local leaders even after marriage… priceless. Rich, it’s not easy. Everyone is on their own journey. It’s hard when we are judged incorrectly. Especially if those false judgements have consequences for our life. My temple recommend was taken away for a time because I left a relationship that was emotionally abusive. It made no sense to me because it seemed like a subjective opinion that kept me from obtaining the comfort I needed from God. The temple was where I got that. It was hard. But during that time I learned that ultimately no one will be able to keep me from God but myself. No one could keep me from real connection from Him. It’s the same for you too my friend. My favorite book is The Continuous Atonement by Brad Wilcox. He talks about it more clearly than I have. Either way, it’s not easy, but I encourage you to keep putting your relationship with God first, whatever that means for you. This was a very well written article and I appreciate not only how you comfort ANY return missionary, but also how you don’t judge the judgmental. Too often, blogs that purport to “love and let love”, end up judging others harshly, and often the comments are even more harsh and hateful. You and your readers have kept this on point, kind and respectful. That is very refreshing. This has been an issue for many for a long time. In 2006, I was called to serve a senior mission in the Missionary Department. My sacred assignment was to offer phone support to recent RMs (in the U.S.). There were many, many times when my heart was broken by their tales of non-acceptance or of low self-worth, just as you all have related here. In addition to letting them know that they were loved and appreciated by all in the Missionary Department, we discussed all of the issues which have been so beautifully addressed here, and by all of those who commented. We were prompted to offer Scripture verses which were helpful to many. One of the references even came from one of the RMs. I offer them here so that others may be comforted and strengthened. Most pertinent of all is D&C 124:49 (of course, the “enemy” is the illness or condition which interrupted the missionary’s service). Also, Matthew 20:1-6 (all received equal “pay” regardless of time served); D&C 98:3; D&C 122:7-9; and Mosiah 24:13,15. Keep your eternal perspective! And I also called myself on a “mission” when I was released from full-time service! When my brother was on his mission, many years ago. Our Dad had surgery and died from complications that set in from that surgery. While he was in the hospital and progressively getting worse, they asked my mother if they should send my brother home to see him and be here for the funeral. She said no, that my father would probably have a heart attack if he looked up and saw my brother home early. They asked my brother the same thing, and he turned them down. When I was able to go on a mission a few years later, I had to be sent home due to some health issues that showed up. I was home for 4 months recovering until my doctor refused to allow me to return. During that time home, I was told I was still on my mission and was required to keep mission standards and to wear my name tag and not date and anything else that was inappropriate. Both situations came at a cost. My brother always has felt guilty for not returning and being there to support my mom and the rest of us when things were so hard. I’ve always worried that I didn’t try hard enough to return to the field. We all need to forgive ourselves and stop judging others. You don’t know why things happen, who if anyone is at fault, and what you would have done in the same situation. The only person you need approval from, is our Heavenly Father. No one has done anything so wrong that there isn’t a way back for him to approve us and our efforts. Each of us has a unique journey back to our Heavenly Home, and no one else can make it but us. You are absolutely right when you say the only person you need approval from is our Heavenly Father. This approval should come first before all else. Thanks for sharing your story Patricia. I served my mission for 24 months and seven days. I did not come home “early”. But for over 25 years now, since returning I have felt in my heart and mind that I did not complete my mission. Coming home was one of the most difficult things I have ever done in my life. The lonely flight home was filled with thoughts of inadequacy and a sense that I had not done all I could do. I struggled for many years with this feeling and it played a role in many of the decisions I have made both consciously and sub-consciously. After getting married way too soon – driven by culture and not doctrine – my first marriage failed in a miserable divorce. I think some of the factors were tied to the deep feelings I had about unfinished work. I have since “left” the church. Mostly over culture and not doctrine. I have tried over the years, on a number of occasions but alas I have not. Some have said to me how can you have such a strong testimony and yet not live the Gospel, for which I have no response. I know Joseph Smith is, was and always will be the Prophet of the Restoration of All Things. Bryan, thanks for being open and sharing your story and your testimony. Almost that exact thing happened to me. Came home after 24 months. I served and worked really hard. I wanted to know that I had given my all, but there were still days when I felt like I hadn’t given everything. My mind often went back to those days instead of the days that were good and where I knew the Lord’s hand was helping us. I found myself (and still find myself) dreaming vividly of getting called on a “special assigned” second mission to serve once again and do that which I didn’t do before, to make it up to the Lord somehow. The dreams are very powerful and spiritual. I also felt very driven by LDS culture to get married. I waited a while after the mission, but never felt like I would be acceptable unless I was married. So I got married. I was not ready. The pictures were beautiful, and on paper we looked amazing, but it didn’t work out and ended with lots of heartbreak, paradox, confusion and tears for both sides. For a while, I felt like I should just pick up and move to some far away place and get a dog and grow a long beard. But there was something inside of me that said: “Andy, you’re better than that.” This divine spark inside of me kept me alive spiritually while I healed from this process. I still wish I felt forgiven by my first wife. Don’t know if I ever will feel forgiven by her. But I know that God forgives me and that HE loves me. And it was the reading of a few books (one LDS and another non-LDS) that turned me around in my view of how God views me. The LDS book is The Continuous Atonement by Brad Wilcox. This changed my life. And it changed the way I see the doctrine of grace. Just youtube “His grace is sufficient brad wilcox” and you’ll find the content of that book summarized in his speech. It took me a long time to realize that not only am I not going to be perfect in the service of the Lord, but that the Lord doesn’t expect me to be perfect in His service. He just wants your heart. And from your testimony, I know that He has your heart still. You’re a good man. God loves you. I’m sure you will find the way if you just keep seeking Him. He will tell you what to do, and how fast. Comments like yours make me wish I could just sit down and chat over lunch. God bless you brother. How can we think we can judge anyone, when all we are capable of seeing is the outward appearance..only God sees the heart? You are right. God looks upon the heart. I’m a recently divorced LDS and I found your thoughts in the start of section 4 about remarriage in the church and cultural stigmas pretty inspiring. I’m new to your blog, and I’ve yet to only give it a cursory browse, so I was wondering if you could point me in the direction of any articles you may have written further on your experiences in that regard. Brad, thanks for your kind feedback! It’s not easy. That’s the truth. I wish I could say that there were more articles on this, but the only other one I would refer you to on this site is one a while back called “6 things you don’t need to be happy.” Please go read it. The first thing in the list is the only other time I have seriously written about this subject. I am writing more about this though. I am currently working on a series of posts about marriage. I almost lost my testimony of it for a while when I was going through the post divorce season, but I have regained it double strong! Marriage is amazing, but certain factors must exist for it to live. Just like if we don’t put carbohydrates, proteins, vitamins and minerals along with water into our body, it will eventually stop functioning. Similarly, certain elements must exist for a marriage to stay alive. And without these, it may subsist for a season but eventually will not. A marriage is a living breathing entity just like a body. I will be writing a little more about these things in the very near future. Subscribe and you won’t miss it. Thanks again for your kind words. My prayers are with you. Thanks for sharing. I too came home early from my mission due to health issues. I understand the feeling of being a failure. Luckily, I was able to finish my mission in the States. Luckily, no one has judged me. But I know people that have been, and I dont understand as it was not their fault. Also, I have not married, and people treat me different. I wish people wouldn’t judge each other. wow thank you for this!! okay i havent served a mission yet im still in school second year doing a BA. i got to say that mission never really was in my list of things to achieve and do in life. i had always have TEMPLE MARRIAGE as my ultimate goal until recently, i felt pressured to kind of include mission in the list. the reasons that pressured me are quite absurd that after reading this, i am happy that someone had just talked about how i feel not serving a mission. i have friends who have served and are preparing to go serve and they are some of the pressure i have had. it is true after all we dont have to wear a badge in order to be called a missionary because everyday we are serving people in one way or another. i have callings in the church. i used to teach the Primary valiant class and now im a teacher for third sundays in Relief Society. i have also invited my friends and flatmates who are not members to come church with me. one of them has started to enjoy going church oh, and i also invite her to activities and games. we can be missionary in our own ways and we each have a calling and a potential to live up to what Heavenly Father wants us to do ! infact im dating a guy who is now serving a mission and hes been on the field for 5 months now. which im very proud and happy of. while dating i told him the worries that i had of what people would think of me and because all my friends who know im a church/mormon freak always ask if im planning to serve sometimes id answer them straight away sometimes i get shy and pretend i didnt hear their question. and if things work out for us the way we planned want them we are planning to serve a mission as a couple. well if everything fall into place for us. 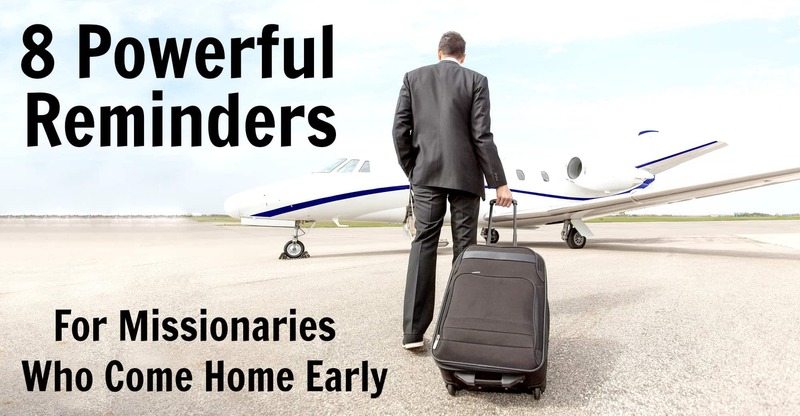 i do know alot of them missionaries who came home way ahead of the time they were supposed to return but i know a few who have handled it well and some not some much. aint judging at all but i do hope they will see this article. do not want to share it on their walls cos they might get a wrong idea. pheww thanks to this article and ill look for more ways i can serve those around me and be a missionary in my own right. I was asked to leave (honorably) at 23 months. Members hated me (they always have…even as a child). My mission president didn’t care for me. Since he is inspired by the Lord, then it was the Lord who told him to ask me to leave. Yes, one could argue that I chose to leave, but when you do not feel loved or wanted it is impossible to stay. I have a testimony of the church, Joseph Smith, etc. but I have never had a testimony of God’s love. I have never felt it. If God did not want me then, why would he want me at all? David, Thank you for being so open. It’s not easy to be vulnerable, but it is powerful to be vulnerable. Just as you have been vulnerable in your comment, this is the same vulnerability you must have with God. I didn’t always have this until all I had was God. It was when the only people in this world who I could trust all failed me. I was utterly alone and I had no idea where to go. At this moment something inside me told me to read my patriarchal blessing. When I pulled it out, the entire page of words seemed blurred out but four words: “The Lord loves you.” As soon as I read those words, I knew that He was there and that even though at that time there was no one else in my life I could trust, He was still there. I felt Him with me. It may sound stupid to some, but it meant the world to me to feel that. That was the first time I had ever really felt that God loved me. The next time was when I was a senior in high school. You can read that story on my personal blog here: http://www.andrewscotproctor.com/blog/when-no-one-else-is-watching-god-is-still-your-biggest-fan (sorry my comments don’t allow links so you’ll have to copy and paste it – lame!). Anyway, it showed me that God was watching in the most important moment of my life (to me) up to that point even when no one else was. Another thing that has really strengthened my conviction of God’s love for me personally seems a little silly to me, but it really has had such a big impact. It’s the scene from Count of Monte Cristo where Edmond Dantes is digging in the prison with Abbe Faria (who he calls “priest”) and the walls cave in on them as they are digging to escape. Over the course of the years of imprisonment, Dantes’ faith in God grew cold, like the cell he lived in. He felt abandoned by God. He only did what was right and he was completely innocent, and yet it seemed as though he was only punished for his good deeds by being thrown in a prison for almost a decade! Why would anyone believe in God after this? When the walls of their tunnel cave in on Abbe Faria and crush his lungs, he only has a few words to say to Dantes before he dies. As he tells him where the treasure map is and what it means, he tells Dantes not to use the fortune to get revenge, but that vengeance is God’s. Dantes looks at Faria and says: “but Priest, I don’t believe in God.” To which he responds with his dying words: “It doesn’t matter, God believes in you.” This has been true for me SO many times in my life. Where I have felt like all I do is good. I constantly do what is right. I go to church, I read my scriptures, I pay tithing, I serve a mission, I go to the temple I try to do all the things God wants me to do, and then what? I get thrown in the Château d’If prison for 7 years for my good deeds. What kind of God would do that to me? The truth? God didn’t do it to me, but He did allow it to happen. And he was there for me at every step of the way. Even if I didn’t believe in God, God believed in me, and He still does. There have been moments when I haven’t deeply, truly believed in God in my heart. But the truth is that God has always believed in me. Always. He knows me better than I know myself. And He loves me. I can’t force you to gain a testimony of God’s love for you, but I can promise you that God does love you. Start with what you do know, and move forward with that step by step. I don’t know everything yet. I have a LOT of questions. But there are some things that I will never be able to deny. Not ever. So when questions come up that I can’t solve, I go back to the things I DO know. One is that God loves me. If I could hug you over the internet, I would. You are a good person for asking and for seeking. Keep seeking. Be vulnerable with God. Go to him alone. You’ll find Him. And when you do find Him, be sure to let Him love you. Sometimes that is all it takes. Don’t take counsel from your fears. That won’t get you anywhere. His voice will always be a voice of love. God is not the critic on our shoulder. He is an abundant Being. The Creator. Your Father. The books I suggest in the recent post on this blog about activating the power of the atonement are way good too (“The God Who Weeps” and “The Continuous Atonement”). What a great article, in and of itself, but I have to add my gratitude to all the posters here!! And Andy, to you to for your replies to them!! What tremendous examples you all are to me of how we should treat others. Thanks to you all. My best friend who played a huge role in my conversion just came home early from her mission. I know she was struggling for a while but she is still the best “everyday missionary” I know! Natalie! Hey! 🙂 That is awesome. I love it. That is really inspiring. Good to see your face on the blog! Thank you so much for this timely article. My son is coming home in two days for a necessary surgery after having been in the mission field for two months. He plans to go back out once he’s recovered, but I’ve been praying for direction about how to help him not to feel embarrassed or guilty when he comes home. Your advice is right on target. Thanks again! Dorothie. Thank you for your kind words! The most important thing for your son is for him to gain a personal relationship with his Father in heaven. Period. Is the mission a great place to do that? Absolutely. Are there people who have never served a mission who build a personal relationship with God? Absolutely. Myriads of people have. It’s amazing how God seems to pop up for us when we are looking for Him. The closest I have ever been to being a parent of a missionary was when I taught missionaries at the MTC. I taught a bunch of them. Every missionary was VERY different. They were all on their own individual journey. And each journey was just as important to God as any of the journeys of the people that they would go and teach. The mission changed my life forever, and if your son is ready to go back (and he chooses to go back of his own accord), I know that it has the potential to change his life forever as well. But if he doesn’t choose to return to full-time service, he is still an individual with infinite worth and infinite potential. Serving a full-time mission is not a saving ordinance. And I know many great men and women who did not serve a mission who are AMAZING contributors to the kingdom of God and who live life abundantly as joyful disciples of Jesus Christ. I have two brothers who didn’t serve. I love them both dearly and they are amazing people. You can’t choose for your son. But you can do things that will help support him in making great decisions. Things like surrounding him with great examples of others no matter what he chooses. If he goes out with missionaries a lot right now, and tries to get involved in a lot of good service activities and jumps head first into doing online missionary work (see the latest post on our facebook page for help with this) or starts a study group with people in the local institute or spends time with others who have received their mission call in the area…he will be MUCH more likely to want to return. If he hangs out with people who are a bad influence on him and is constantly alone at home, not doing much and just thinking all the time about what he did wrong and sulking over the fact that he is just sitting at home with no direction, this is not a good place to be and the likelihood of him truly desiring to return (or to move forward with anything in life) will be very low (in my opinion). Do all you can (don’t force anything though) to create an environment where he can have a direction to move forward and progress. Missionary work is all about having your eye single to ONE purpose and working like crazy to accomplish this. If he doesn’t go back, encourage him highly to start dreaming and going for his goals. Be excited for him, even if he feels right about something that isn’t a mission. Help to surround him with people who are accomplishing their dreams and goals. Never use guilt or shame to motivate. (I’m not implying you would, but don’t do this). Support an environment of independence for him that says that you trust him, whatever he decides to do (especially if he decides NOT to go back to missionary service). I highlighted the importance of doing this in a post I did a while ago for parents of returned missionaries. Here is the link: http://www.thereturnedmissionary.com/for-the-parents-of-returned-missionaries/ (you have to copy and paste it, sorry). God knows and cares about your son. Trust that your son is in His hands whether or not he decides to return. Celebrate him either way. I hope this was helpful. Sometimes I get carried away. 🙂 My prayers are with you as you surround your son with unconditional love. Thank you so much for your response. It is full of wonderful counsel and I greatly appreciate it. I know I just need to love him and trust in God to help him choose the right direction. Patience is not my strongest attribute 🙁 !!!!! I can see so much of the GOOD that comes from serving. I’m not thinking of the converts (though that is definitely important), so much as the growth I’ve seen young men experience. I will continue to pray and be happy that he is working and not just “hanging out in front of video games” and doing absolutely nothing!! Dorothie , if you get this reply…what happened? I’m where you are now, but after three months of migraines and a cat scan, he came home. I want him to go back for the growth and experiences…but does God!!! My fiance came home for transgressions as well after only a couple of weeks out last summer. Over the first few months of him being back he struggled with having a desire to go back to the field. It didn’t help that his mom told him that it was a commandment to not only go on a mission, but to finish honorably. Eventually he realized that he was not meant to return to the field, instead his calling was (and still is) to help me gain a true testament of the gospel and to allow God back into my life. His mother is still upset he chose to not go back, and keeps begging me to refuse to marry him unless he fulfills an honorable mission. He and I both feel miserable about her reaction, even though we’ve both prayed about getting married now. My fiance’s father on the other hand is 110% supportive. He not only has not judged any decision or passed transgression, but also has given us advice whenever we ask. I hope you just support your son and listen to what he needs when he eventually tells you. feeling that love means everything to my fiance. The same thing happened to me Sue. I want to thank you for the 8 things for RM article. I have a really close friend who came home 10 months early due to some medical reasons and this really pulled him out of the slump he’s been in. I can’t thank you enough! JP. I’m so glad! Thanks for sharing that with me! This made my day! Thanks Michael. I will add a footnote with your research. I think most people will agree that the principle is true, whoever said it. 🙂 I just found it on Google. I just wanted to take the time to say thank you for all that you have and are doing for the world, I understand what is like to be a returned missionary earlier than expected. Reading your posts helps me to find the joy and peace that we deserve as human beings so that it over rules the guilt and depression. I know that life isn’t easy right now (and it will only get harder), but keeping our hearts and minds on what truly matters (God and Jesus Christ), we will be ready to spread the Gospel in any way that we can. I have been changed by your work and am grateful that our Father in Heaven has directed me to your website. Thank you Kevin! Wow. You are too kind! I wish you the best. Thank you for this article. It’s been 27 years since i came home early from my mission. Called to labor in South America, my mission lasted 8 days. Unresolved sin required me to come home from the MTC with the invitation to return once i straightened up my life. At the MTC, i was homesick and scared of what lay ahead in South America. In some ways, i was relieved to go home. To make a long story short, i never returned to the mission field and opted instead to move on with my life. But the guilt over this decision stayed with me for a very long time, even though i went through the repentance process and married in the temple about the time i would have returned from my mission had i finished the original call. Even though my mission lasted only 8 days, it resulted in one convert: me. I have never felt the Spirit so strongly before my brief stay in the MTC. My time there changed my life and brought me the spiritual experiences i needed. I undoubtedly would have had more if i chose to return to the mission field, but i convinced myself i needed to stay home. As young father, i still struggled with guilt over not being an RM. I remember holding my infant son as he slept in my arms one night and having a prayer in which i promised the Lord that i would do all that i could to encourage my son to be a missionary in my stead one day. That day came in 2010 and again in 2013 when his younger brothers left on their missions, just months ahead of their older brother’s temple wedding. I am loathe to toot my own horn for anything the Lord has blessed me with, for it is through His love and mercy that i have been able to rise above my perceived failure in not serving a mission. i have been blessed, and challenged, to serve as an elders quorum president, a bishopric, and currently in a high priest group leadership. I am proof that the Lord, in His prefect mercy and love, will use any who are willing to put their shoulder to the wheel and be true to covenants made with Him, whether we served two-year full time missions or eight-day missions…or no mission at all. Wow! What a great story! I loved reading this. Thank you for sharing your journey and the great ending! The first convert must always be ourselves and this is the most important. What a blessing that you now have a missionary family! Great job! Keep building the kingdom brother! Great article!! 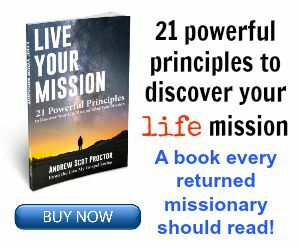 There is also a great article by one of the apostles (I think) that talks about the new missionary standards and clearly states that if you cannot meet them, you are HONORABLY released from the obligation to serve a mission–go forth and be faithful. I was a missionary sent home early, due to medical reasons that would have been easily treated in the mission field… but my stepmother wrote my mission president and told him I was faking it and so he wouldn’t let me. I went home. No one was there to greet me. I had a chance to speak with my mission president a few weeks later and he asked if I was still active. YES! Just because HE was a jerk does not mean that the Gospel is not true–it IS!! And people are still people and always will be, in this life, imperfect. I got a blessing telling me that I gave “the widow’s mite” and was greatly blessed when I got home. However, my mission was always an afterthought for people (Oh, yeah, you went too) and I was SO glad when I moved from the area to a new place where I was not judged by being sent home but on my own merits. I love the Gospel, I love being a member and am so glad to have been so blessed to be a member of His church. Like Walt Disney says, “Keep Moving Forward”!!! If you will do that, stay strong (as “Satan desires to have thee”), and it’s a great life–it’s only a test, after all, and there is no one perfect score that gives you a pass. Shannon, Thanks for sharing your story. You are absolutely right. It’s all about becoming. You are awesome! Keep it up! Thanks for sharing your story Jennifer. I’m glad you found it! God bless you. Thanks for this webpage, i was watching the general conference when suddenly a though came to my mind wondering if there is any webpage who can help me about what i feel and how i’m with myself, because every comment about the mission hurts my heart and my soul, i was looking for that page and i found this one. I came home early from my mission, i’m still feeling alone and with no purpose but reading this, something told to my heart that i can go ahead, because the real mission began when i came home ( two months ago), isn’t easy but i’m still here, standing up slowly, i wont give up, i know i’m not the only one who feels like me, but nobody can understand what i feel where i live, i know i’m not alone but the enemy want it. Thanks for sharing this post, it helped me a lot as the general conference, God give us the correct path when we come onto our knees. Thank you for sharing Eliud. It’s not easy, but it is a great journey and you will make it! Keep going. So many good messages for you in conference too! Thanks for sharing Erin. That is a tough situation. Everyone, including your son, has their agency. If he chooses to come home early, it will be hard for him. But keep these things in mind and he will need even more showerings of love if he does. If he chooses to stay, love him as well. And send this article to his girlfriend: http://www.thereturnedmissionary.com/the-right-way-to-wait-for-a-missionary/ I honestly believe that if she wants to be even closer to him when he gets back, this is what she should do. That is just my opinion. Blessings to you and your son. Hurray for him for even going. Seriously. It’s not easy to even just go. I took that literally and even when I was really sick and in a lot of pain I still worked. In hindsight had I done sick days I may have been able to stay. I am so thankful for the chance I did have to serve- I just wish it could have been longer. I have watched some youth in our ward and stake come home early for various reasons and my heart always ached for them. I think a lot more love and gratitude for what they did do needs to be given by the members if the wards, friends, and family! Thanks Kristi. I haven’t read that quote for a while. I remember reading that on the mission as well and feeling guilty for not having worked harder when my body was tired sometimes. Now that I have served a mission, taught missionaries and seen thousands of missionaries return, I know that God just loves ALL His children. He doesn’t want us to feel guilty. He just loves us. And he loves you. Hey Andy, amazing article, definitely something that I know my two sisters who both came home early will find uplifting and beneficial. My peer and I were asked to cover a story on this subject for our school’s newspaper at BYU-Idaho. We were wondering if we could share some of these tips you gave, within our article? And if you wouldn’t mind answering, what’s something you would advise early RM’s to do while their back at school? Thanks Madeline, please use whatever tips you want from this article as long as you cite it and make sure to link to this article from the website (if it is an online newspaper). 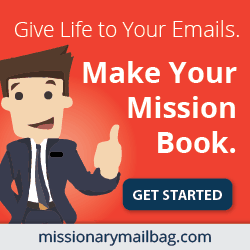 There is actually an amazing amount of resources for early returned missionaries. I will edit this article or create another article that lists all these resources out. I follow newly called missionaries on Instagram and I am seeing more and more of them returning early- especially sisters:/ (at least according to my very non scientific Instagram calculations). I think of the major issues is that no one prepares you for the realities of mission life. I know there are some things that can’t be explained, you just have to experience them. But I had two older siblings serve and they told me nothing apart from “the mission is the greatest thing ever!” And don’t get me wrong, I learned so much over those 18 LONG months but I could finally understand why people risked the social stigma and went home. It’s depressing and exhausting and you feel perpetually inadequate and guilty. One sister from the mission I live in said that the mission presidents wife did a survey of the missionaries about to go home and they stated that the mission was 80% misery and 20% joy. Which sounds about right to me. It makes you so strong and most of us wouldnt trade our mission experience for a million dollars but its so intense and , as wrong headed as this might sound, there were a lot off days that the only thing that kept me from going home was the stigma of an early return. I came home after 18 months and slept for 2 days straight. I know this has been kind of off topic but I think toning down th stigma of early returns in our lds culture would be beneficial, as well as preparing people for the REALITY of missionary service. I came home early from my Mission after 8 weeks of serving due to a severe panic disorder I did not know I even had! I’ve been home for almost 2 years, failed at jobs, struggled dating, and having the hardest time moving on. Everyone tells me I need to serve a mission so Heavenly Father may bless my life way more than he could if I were to not serve. I have a girlfriend now, and it’s not like she’s preventing me from serving or anhything like that, I just have the hardest time deciding if it’s something I should still I pursue, or just go through schooling and serve here. I feel so confused about everything, and am just trying my best to be faithful. Branden, that is not easy. I can actually say that I understand. I went to the ER last month because of a panic attack. Not fun. It feels very real. I actually have been reading a really good book called “When Panic Attacks” by David Burns. It has helped me a lot. As for whether you should go back out on a mission… That is completely between you and the Lord. NOT between you and everyone’s opinions. You should always remember this, not just with serving a mission. And remember that it is YOUR choice. If you decide not to go back out remember that the mission is not a saving ordinance and that God will still love you just as much as if you served for 24 months. And if you decide to go back out, I wouldn’t do it unless you are doing it for YOU and for God, and not for anyone else. The mission was one of the most difficult and rewarding experiences of my life. AND the most effective missionary work I have ever done has been done while I was NOT a full-time missionary. 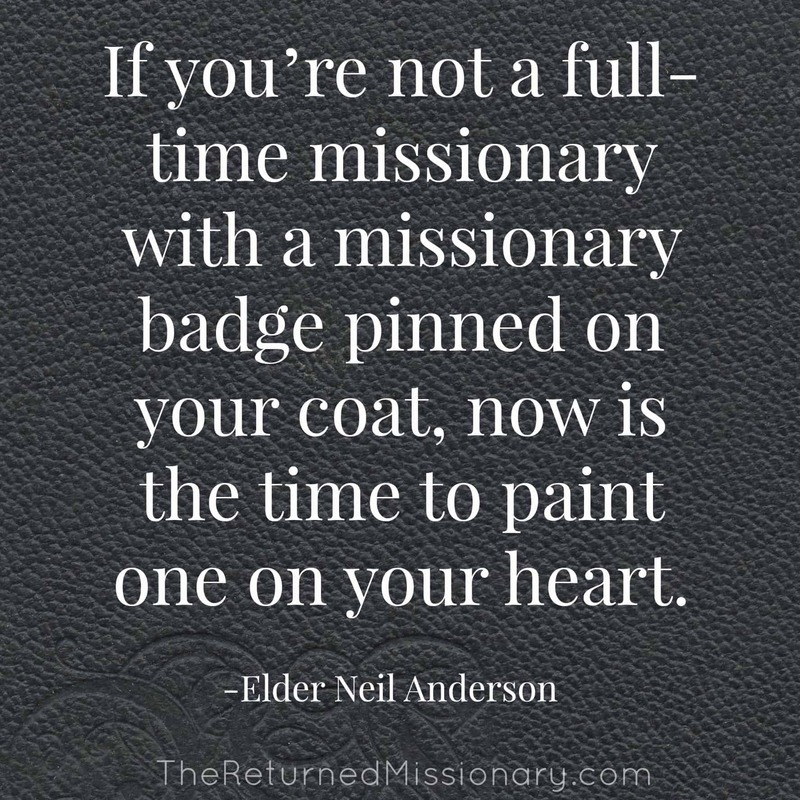 Whether you decide to go back out on a full time mission or not, decide to be a missionary the rest of your life and you’ll be a more effective missionary than any missionary who serves for the full 24 month and comes back never to do any missionary work after the mission. Blessings to you my friend. I thought this would be a great article to share, because I know people who have come home. Not just those who were sick, but also those who were DIS-honourably released. Your article seems to relate JUST to those honourably released. So I cannot share this. Even though all of the points apply to the dishonourably released as well. We are a church of ‘grace’ through the Atonement of the Saviour; to BOTH the ones who got sick, or had anxiety. As well as the ones who broke mission rules, or, who were found to have committed sins while at home, which upon confession required they be sent back. THESE, are the ones, whose heads must hang the lowest. Even though a dishonourable discharge, like I said, is NOT the end of the world. These Elders & Sisters, need to hear of their worth, more so, I would say, than those with genuine medical conditions, which OF COURSE include mental health anxieties. That’s because we can’t choose whether the genetics associated with good mental and physical health will be ours or not. We CAN choose to ignore the pretty girl, or handsome boy in the mission field, and we CAN, choose to confess to our Bishops and Stake Presidents, prior to our service. THESE returning missionaries are the ones we ought to be MOST concerned about. Not the missionaries who had to go home due to situations outside of their choosing. Or the ones who stayed put during the unexpected death of loved ones, which interrupted what ideally SHOULD HAVE been; a trouble free 2 years or 18 months . For the record I’m an RM, and I was feel very fortunate that I was blessed to have been able to serve my time. While I appreciating the importance of stressing the honourable discharges of the Prophet and his Apostles; if you could edit your article to include more references to BOTH the dis-honourably, as well as the honourably discharged, many more souls can be reached out to, and perhaps comforted. Even those who shouldn’t have gone, due to past mistakes, still felt compelled to serve their Lord. A respectable thing, given the number, as you have so rightly pointed out, that just couldn’t be bothered AT ALL…. Thank you for your viewpoint. I have thought much on this subject. I have even started writing an article specifically for those who came home from the mission dishonorably. It made me think of how many people there are who are in this sort of category feeling unworthy and feeling shame. I wrote an article that applies to this called “6 Things Repentance Does NOT Mean” that I would recommend (just google it). But I do want to write to this group of people. Not just those who came home early (or didn’t serve at all) because of transgression or unworthiness, but also to everyone in the Church who finds themselves outside of the walls of the temple, unworthy, feeling ostracized from members of the Church who *are* permitted to partake in all the activities and ordinances that being worthy allows. It is a very sensitive issue – even more so than this article – and so this is why it is something I still haven’t been able to tackle. I plan to tackle it, and I appreciate your input and opinion to motivate me to write about this. I agree that these are the people who need our help. Thank you for this hopeful article. My daughter was diagnosed with leukemia as an early teen. She was off chemo for four years and doing beautifully when it returned while she was joyfully and anxiously engaged in preparing for her mission at the MTC. We are basically now living in the hospital while she fights this again. I was online this morning looking for something to encourage her. Thank you for your article. Wow. Thank you for sharing Sue. I will pray for your daughter. She must be an amazing soul for God to trust her with this trial. Our son left on his mission 2 years ago this week. He returned 4 days later due to worthiness issues that he felt he needed to fix. Over the last 2 years we have really had our eyes opened to the judgment and just plain ugliness that “good members” are capable of. Many friends and ward members have been truly great and supportive but they are far outnumbered by the others. Our son has struggled greatly and has been looking forward to his friends returning from their missions in hopes of them supporting him and helping him along. Tonight he went with several of his just returned friends to a welcome home party for all of the returning elders. As he was standing there with his friends, several LDS girls were introducing themselves to the returned elders. One of the girls was really interested in talking to our son. Right in front of our son and his friends, another of the girls said “he didn’t serve a mission don’t waste your time with him”. She immediately turned away from him and nobody spoke another word to him. Unbelievable! He came home so upset. He has tried to do what’s right and tried to do and be what he should be. He said he is giving up on LDS people and frankly I don’t blame him. It breaks our hearts that he feels like this but he has been mistreated by people on every level in the church from his Stake President right down to these girls tonight. I think this is a Utah phenomenon. man this has really helped my thinking an understanding…..although am currently serving a mission now, but reading this i feel a lot better thinking about those missionaries that went home early……..an i hope ma second companion read this…………………..